The search for the best ergonomic chair reveals that there is a chair for any budget and any need. 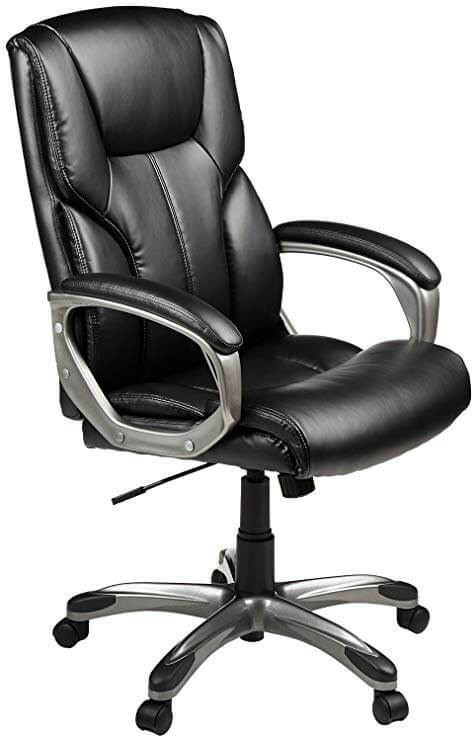 If you are diligent enough, it is quite possible to find a feature-rich ergonomic office chair. See the 13 ergonomic office chairs we have listed here for you, at incredibly affordable, and sometimes extravagant budgets. If you are looking for the best ergonomic chair, you will not be disappointed. There is a good number available for sale. Ergonomic has become the new standard for all office chairs. These chairs come in all sizes, colors and styles. Most brand names have many models of the ergonomic chairs under their name. Of course, this wide variety is perfect for customers as they get to choose what suits their needs most. With ergonomics also comes many comfort features. Thus, a modern office chairs encompasses many features of comfort, stability, usability and many more. From incredibly breathable backrests, cozy and adjustable seats, wide and wild adjustability, there is an ergonomic office chair for you. Regardless of your budget or the diversity of your taste is, there is an ergonomic office chair for you. Why should you get an ergonomic chair? What is an ideal ergonomic chair? There are many reasons, but… why not? After all, whether you work from home or from the traditional office, you will have to sit down for long hours. Even a 9 to 5 job is still strenuous, as it requires you to sit down for hours on end. The main reason why we use ergonomic office chairs is for the sake of our back health. No one can convince you to go back to the traditional rigid office chair once you have tasted the goodness that the modern office chairs have to offer. With everything else being designed ergonomically, why not the office chair? The car seat is ergonomic and so is the rocking chair and sofa. It is about time that you started enjoying the health benefits of ergonomic chairs. The modern ergonomic office chairs are so stylish such that they enhance the décor of any space where they are set. Besides, they are also durably constructed. It is not as if you will be looking for a new office chair every year. Statistics show that 20.4 percent of grownup Americans suffer from chronic back pain. A good number of this comes from the use of bad chairs and the long working hours at the offices. Thankfully, in future, this number should drop as many people adopt better, more ergonomic office chairs. As ergonomic office chairs become more affordable, the chronic back pain scourge can be managed. If you do not want to be a part of the statistics, just start using the best ergonomic chair. It will help you adopt a healthy sitting posture in the office, helping your spine maintain its natural curve. When we say that a chair is ergonomic, what do we mean? This chair has been designed to conform to the needs of the human body. Thus, when you sit down on the chair it mimics the natural curve of your spine. An ergonomic office chair offers the requisite support to your back. Made for people that sit down for long hours on end, this chair is designed to prevent back pain. It can also help people with back pain by encouraging the adoption of the right office sitting posture. With this chair, you are going to allay your health fears. At the same time, this chair is also going to keep you motivated and focused at work. You can concentrate at work without worrying too much about your health. 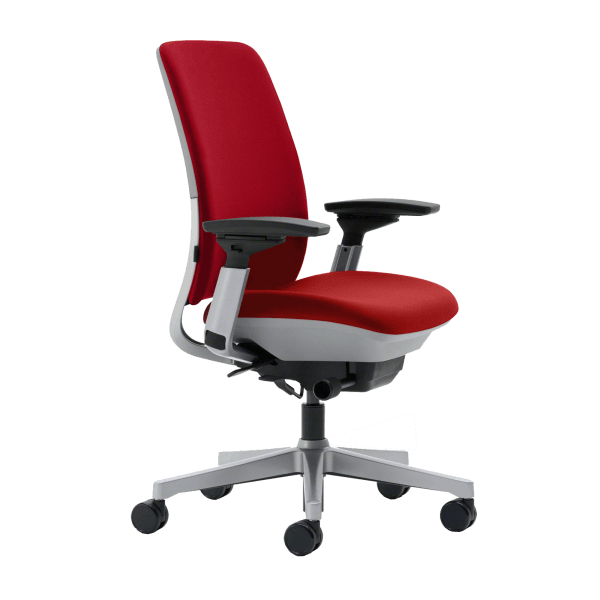 With a combination of a well-designed backrest and good lumbar support, your ergonomic chair should support all of your pressure points. It is a good office tool for the prevention of the occurrence of chronic back pain in future. Ergonomic chairs are very adjustable. They are designed on the belief that there can be no one-fit-all chair. However, because of the wide customizability, it is pretty easy for anyone to adjust various aspects of the office chair to meet their needs. There are like 1001 benefits of using an ergonomic office chair. The first and perhaps the most important is the benefit of health. What many people do not know is that bad sitting posture can cause back pain, in the near future or in the distant future. Thus, many people find that they have to contend with serious back pain in future, when they have already retired. Sadly, this could have been prevented by the use of the right office chair. Ergonomic office chairs last a long time. For the next five years or so, your purchase of an office chair will most likely be a one-off buy. No one likes to keep going back to the market every other time to look for a chair. Just buy one from this list and you will have it for years on end. Ergonomic office chairs are very customizable, widely adaptable to meet the needs of different users. From adjustable armrests, headrest, backrest, height and even the tilt angle, you must find your perfect office sitting posture on this chair. Enjoy increased productivity and more focus at work. When the body is well supported, the brain works better. You can stop focusing on your health and instead direct all of your energy to your work. You can enjoy sitting in different postures in the office. At different times, or when doing some tasks, you may want to lean back some, sit up straight, sit sideways and so on. Your office chair will support all these postures. Enjoy comfort in the office, even when you sit down for long hours. Breathable backrest, comfortable, waterfall-edge seat has become quite the standard feature in modern ergonomic chairs. These ergonomic office chairs are made to enhance the circulation of blood in your body. As we know, good blood circulation means better supply of nutrients and oxygen to different parts of the body. You will not tire fast. Most of the back health problems start at the lower back. That is why ergonomic office chairs are designed with lower back support to ensure that your back is well supported all the time. 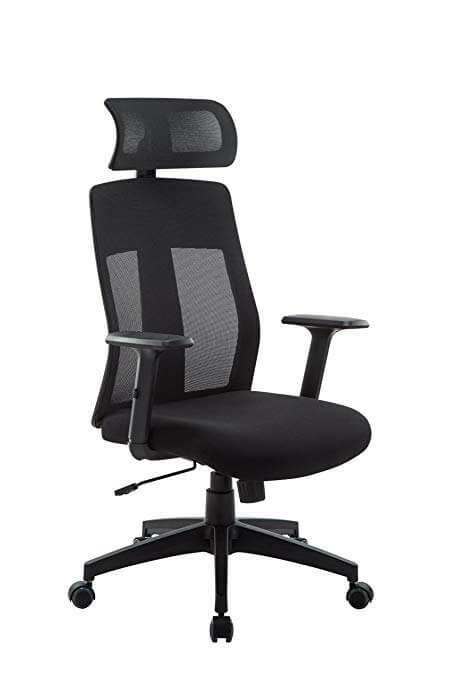 A chair with a combination of good backrest and adjustable lumbar support should meet your ergonomic needs very well. If the chair does not give you good lumbar support, then it is not worth your money at all. The main reason why you need an ergonomic office chair is so that you can prevent back pain, now and in future. Thus, a chair must promise, and actually live to the promise of preventing back pain. Adjustable lumbar support is better. Of course, most chairs that offer adjustable lumbar support will cost more. However, fixed lumbar support is better than no lumbar support at all. To know whether the chair will meet all of your ergonomic needs, you should read reviews left by users. Lumbar support specifically helps your lower back. It pushes outwards gently. It forces you to maintain a posture that promotes the natural curve of your spine all the time. There is no way that you will spend hundreds of dollars to buy a bland, boring and bad looking office chair. This is an office chair, not a fancy tea party chair. Thus, it must look professional. Choose neutral colors as such go very well with formal spaces. For your home office, you can choose other colors. 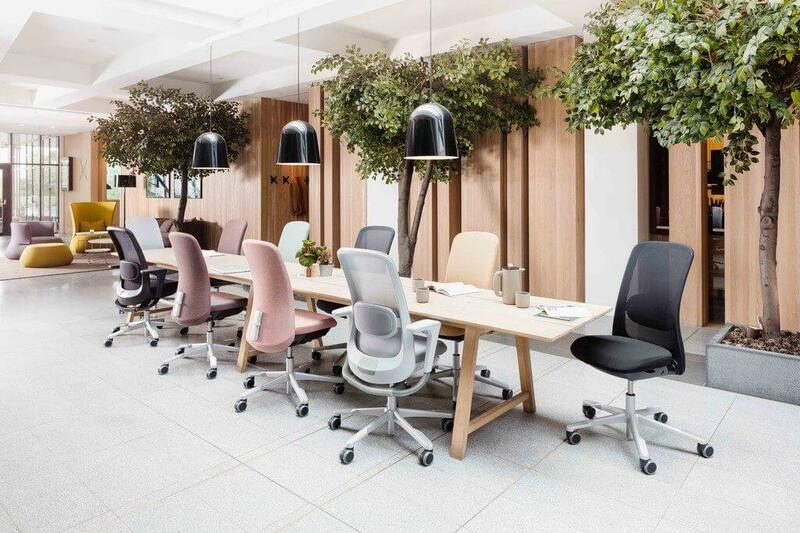 If you look at the AvoChair, ErgoChair 2, OsmoChair, Freedom Chair, Gesture chair and others, you will see what we mean by good design. Everything, from the casters to the backrest or headrest for those that have one looks good! Consider the base of the chair carefully. Mostly, polished aluminum, steel and plastic material are used to make the base. More expensive office chairs will have polished aluminum. This is light in weight yet very durable at the same time. Consider how the chair looks. If it looks good and acts good when you sit down, it must be a good chair. Buy it! If you have an office, many of the people that work there will have to share chairs. Thus, you want a chair that is customizable so that it can meet the needs of different users. From pneumatic height adjustment, lumbar support adjustability, armrests and backrest, the more customizable a chair is the better. However, there some premium brands that are auto-adjusting, meaning that when you sit down, the chair adjusts itself. You will still have to adjust the height and the armrests, but the backrest deploys tension depending on your weight. The Humanscale Freedom chair is such a chair. Versatility in an office chair also means that you can use it for different tasks. For example, you may want a reclining office chair so that you can relax and take a nap in the office. You may also want a chair with a leg rest for relaxation. Some chairs come with headrests and some without. This small feature is paramount for the head and neck support. Some chairs may lack this, but they will have a high backrest. To many people, price is not really a consideration to worry about. More money definitely gets you more features in your office chair and vice versa. Thus, many users feel that if the features justify the listed price, the chair is good to buy. The comfort features in the best ergonomic office chair differ from one to another. One of them is the padded armrests. If they are adjustable in four dimensions, all the better for the user. The backrest is a very important feature for comfort. It should be meshed for airflow where possible. However, even suede and fabric upholstered backrests are good if the aspect of breathability has been well taken care of. Headrest is a comfort feature, so is leg rest. However, headrest also helps keep the spine aligned. That is why some chairs come with 3D headrests that self-adjust to suit different sitting postures. The comfort of the seat pad is also paramount. It must be curved in a waterfall design such that there are no edges pressing against the back of your knees. Besides, the seat must be made of gel or foam. These materials are comfortable, do not lose shape easily and they are firm. 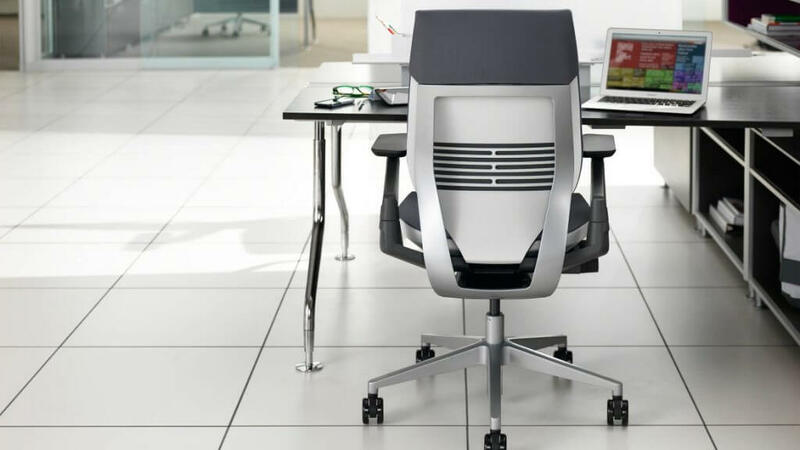 Comfort features in a chair allow you to work for long hours in the office, without really feeling the strain. At the same time, remember to be proactive for the sake of your health. One of the ways to do that is to stand and walk frequently. It helps your blood circulation. As you will see when you click here, there is the best ergonomic chair for everyone regardless of their budget and size. There are even ergonomic chairs for people suffering from back pain. If you can spare the money, there are chairs that cost more than $1500, $1200 and so on. Herman Miller, Steelcase, Haworth and Humanscale make some of the most fantastic office chairs in the world. However, they charge quite a pretty dollar for their products. You should not worry though because the Autonomous office chairs have better options for people on low budgets. 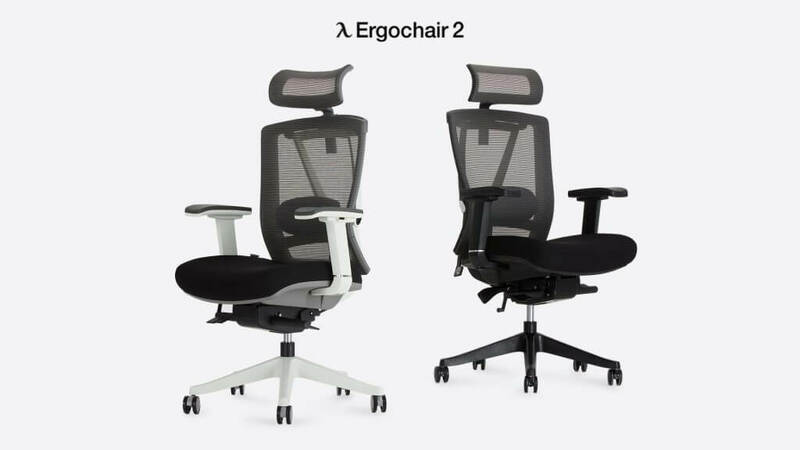 For example, the ErgoChair 2 is designed to make work more fun. This chair will make you believe that the office should be a place of enjoyment rather than a place of punishment. With this chair, you can lean back, lean forward, raise/lower the armrests, pivot them outwards for more width and so on. You can do many fabulous things with this chair. 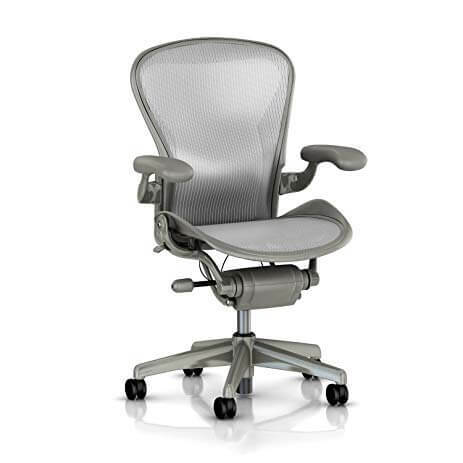 The Herman Miller Aeron chair is one of a kind. This is a marvel of technology and engineering, brought right to your office. It has so many features. Adjustable seat depth, armrest height and width, adjustable backrest and many more features make this chair perfect for any office. It is a costly ergonomic office chair, but it gives the best value for money. Then there is the OsmoChair. This affordable option has been designed with almost the same features as the Aeron chair but is sold at a fraction of the price. Some of its features include tiltable backrest, breathable seat, adjustable lumbar support and leg rest. Whether relaxing or just sitting down to do some work in the office, this chair is very comfortable. Since there are so many ergonomic chairs in the market, it can be hard to narrow down the choices to what you really need. One of the ways to do this is to look at them by their prices. In this section, we are going to look at the best ergonomic chair categories by price, or features. In this category, we will look at the ergonomic chairs that cost less than 100, 200, 300 and 500 dollars. There are many of them, including some under the Autonomous brand name. People ask whether it is possible to have a good ergonomic chair under 100 dollars. The answer is yes. However, while it may have a good backrest and lumbar support, you should know that some features have been sacrificed because of the price. This is a simple chair to use, upholstered with leather for both the backrest and the seat. It is also a good computer gaming chair. It has a few adjustable features. 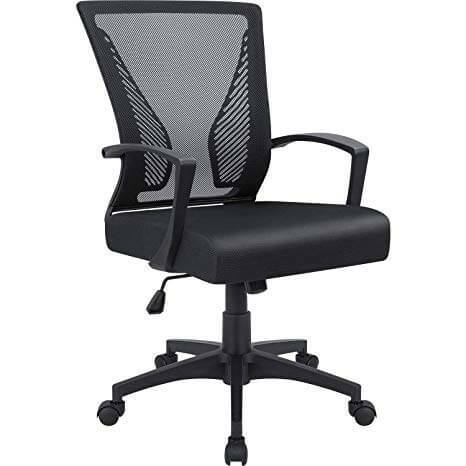 However, most of the time, it is sold at even less than $65, thus making it a very affordable office chair. You can expect a fairly comfortable back support, pneumatic height adjustment and more. Before you wonder whether a chair with fixed armrests is any good, you should try it. Besides, it can be a good chair for you to hold fort until you are able to get a costlier, feature-packed office chair. This one is made by Amazon themselves and most of the times, it is sold on offer costing less than $150. It has some adjustable features such as height, 360-degree swivel and has a nicely padded seat and backrest. This is a high back chair, which makes up very well for the lack of a headrest. With a limited warranty of 12 months, and easy to use user manual, this is a good chair for your office. It will serve you very well. The casters are nice and can effectively roll on just about any type of floor. The word “Executive” has not been included in the name of this chair just to make it sound simple. Rather, this chair looks, sounds and feels just as an executive office chair should. Firstly, it is a high back chair. That means good shoulder support and for short people, neck support. It is also made with a meshed, breathable backrest. This is the best ergonomic chair for your needs. You will never regret buying it. This chair has a headrest, and so many adjustable features. For example, you can adjust the armrests, even slide the padding forward and backward. Adjust the lumbar support so that it meets your sitting needs perfectly. For the price of less than $150 in many online marketplaces, this chair is fantastic. It is designed for office workers and employees who work for long hours. We could go on and on waxing lyrical about the abilities of this chair, but the aluminum base makes an already good deal better. This is a very comfortable office chair. 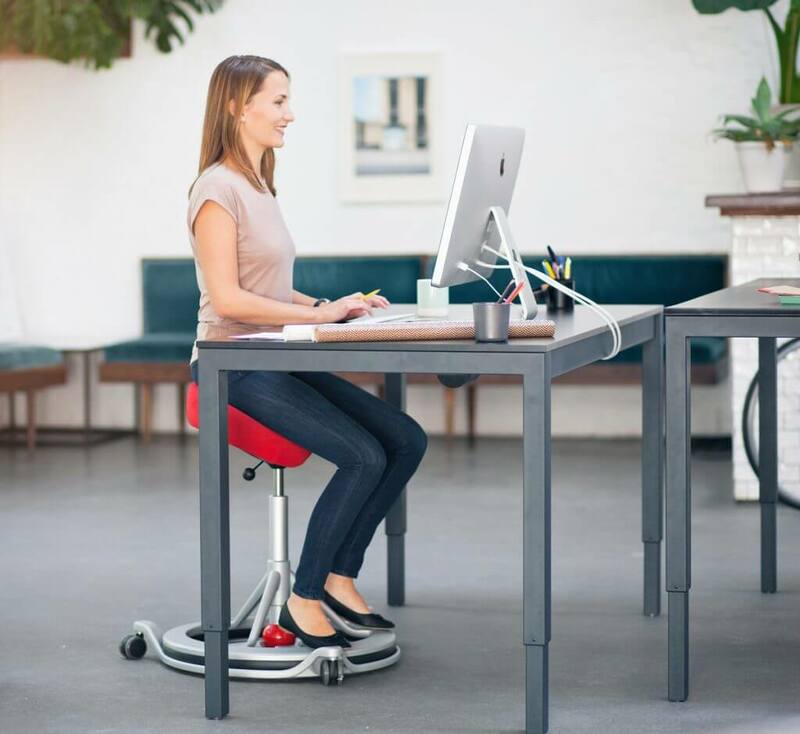 It has been designed with many adjustable features so that any user can find their most comfortable working posture. You can start by adjusting the lumbar support, the headrest and the armrests. This chair will allow you to find your most comfortable sitting position. Whether you want to sit straight or lean back, this chair allows you to try different sitting positions. If you have back pain, this is the right chair for you. It is designed to give people with bad back a reprieve. It is also going to help you prevent the occurrence of back pain in future. You can adjust the lumbar support. You may also tilt the backrest to find the best sitting posture. The breathable mesh allows good airflow all the time that you will be sitting down. In the hot summer months, it is easy for your back to turn all sweaty. That is why the best ergonomic chair is designed with breathable backrests. Meshed is always better! This chair can be used by more than 90 percent of the global population. It has a weight rating of 330 pounds, and the height can be adjusted accordingly. With the firm seat cushion, the well-padded armrests, this chair is going to help you meet all of your office posture needs. The chair is sold with a money back guarantee of 90 days. This is one of the flagship products from Autonomous. If you seek a combination of comfort, style and performance at an affordable price, buy this chair. 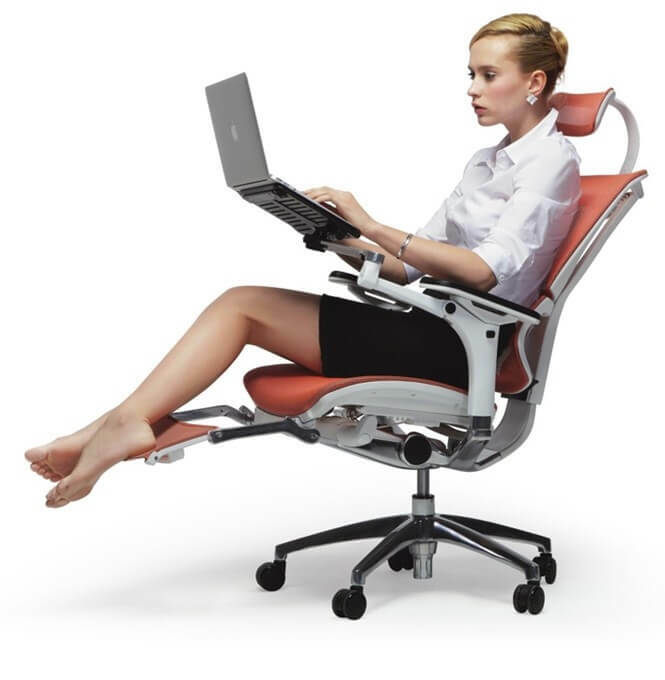 With a leg rest, you can relax in the office and allow your body batteries to recharge. Just get this chair. When you do not need to use the leg rest, fold it back and keep it out of sight. With its incredible auto-balancing mechanism, you can adjust the angle of this chair in any direction, from 6 to 128 degrees. Not many chairs in this price range can offer you that. Combined with a 3D adjustable headrest, you can find a perfect sitting posture for different tasks in the office. Lumbar support, shoulder and neck support are assured. 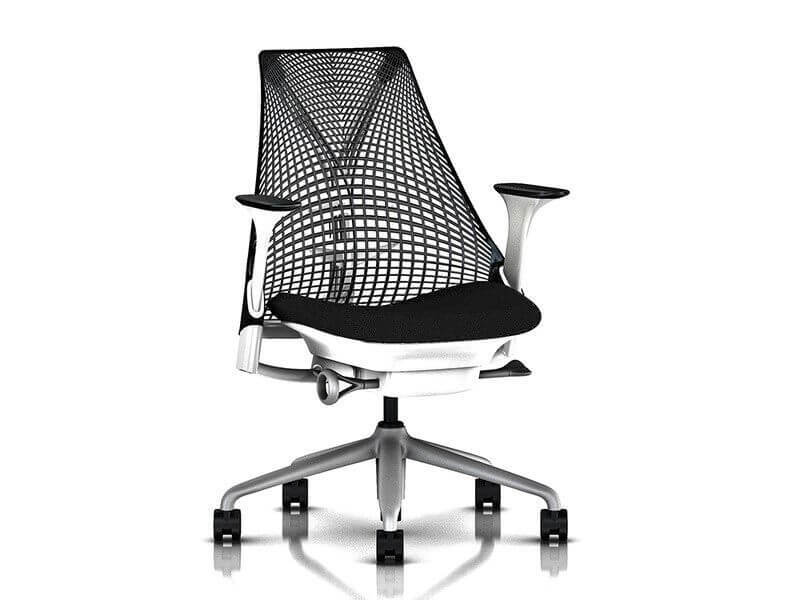 The breathable, meshed backrest also adds to the comfort of a person who works long hours in the office. This chair has been designed to mimic the natural shape of a healthy spine. Thus, you will be superbly supported throughout your office working experience. Did we also say that OsmoChair is a good looker? It transforms and enhances the interior décor of any place where it is set. 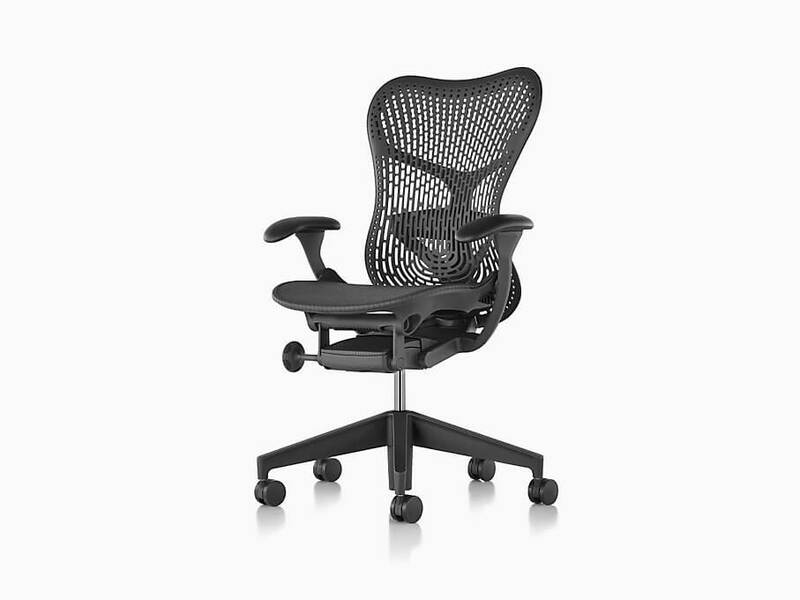 The Herman Miller Aeron chairs need no introduction at all. At the price range of between 500 and 700 dollars, you know they do not come any better than this chair. This is a task chair, meaning that it is an ideal workhorse for any office. With this chair, work will no longer be a punishment. It will be fun. Some of the most notable features about the Aeron Task office chair include the breathable mesh that dissipates your body heat when you are working. No sweaty backs and bottoms! You will be able to keep cool and comfortable throughout the day, enhancing your productivity. The tilt mechanism of this chair is designed in such a way that when you tilt the chair, it gets the knees, ankles, hips, shoulders and even the neck to tilt in synchronization. The seat is plush and comfortable. If you sit down, you will never feel the edge pressing against the back of your knees. It will not hinder the circulation of blood to all of the parts of your body. With the PostureFit back support system, this chair is going to give you ample lumbar support all the way. Whether you lean back or sit up straight, this chair is going to keep your back firmly but comfortably supported all the time. Lastly, you should love the fact that this chair is sold with a warranty of 12 years. That way, you are assured of good craftsmanship and getting true quality for your money. This is yet another of the best ergonomic chair that you can buy. It is going to make your work easier. It brings a smooth combination of technology and ergonomics. It is the perfect office chair for people that work long hours. There are many good things to say about this chair. For example, the contoured seat is very comfortable, and so is the breathable backrest. With this chair, you will experience redefined comfort as it supports different postures. With a weight limit of 400 pounds, this chair will be good enough for just about anyone that works in an office. The adjustable features do not stop with the 4D armrests, but they also extend to the backrest and the height. The LiveLumbar technology ensures that whenever you move a muscle, the lumbar support moves with you. This means that you are supported throughout your sitting experience. The base of the chair is made of polished aluminum. The chair’s casters move very well on any kind of floor. The most notable thing about this chair is the flexors in the backrest. They move as you move your body so that your back is supported all the time. This is another of the best ergonomic office chairs that you could buy within the $500 to $700 price range. It is extremely breathable, allowing ample circulation of fresh air on your body throughout the day. If you love simple but intriguing designs, this chair is perfect for you. It looks like a piece of art that you would get in a museum. First, there is the frameless backrest of the chair, meshed and sloping towards the shoulders. It is attached to the rest of the chair by a long spine. Secondly, there are the beautiful adjustable armrests with excellent padding. This chair is sold with a 12-year limited warranty, as are all of the Herman Miller chairs. It is a comfortable chair, light in weight and it performs just as well as the manufacturer says it will. As you can see, Herman Miller seems to have quite a number of chairs in different price categories. The reason for that is that their workmanship is great. The durability of these chairs is assured. 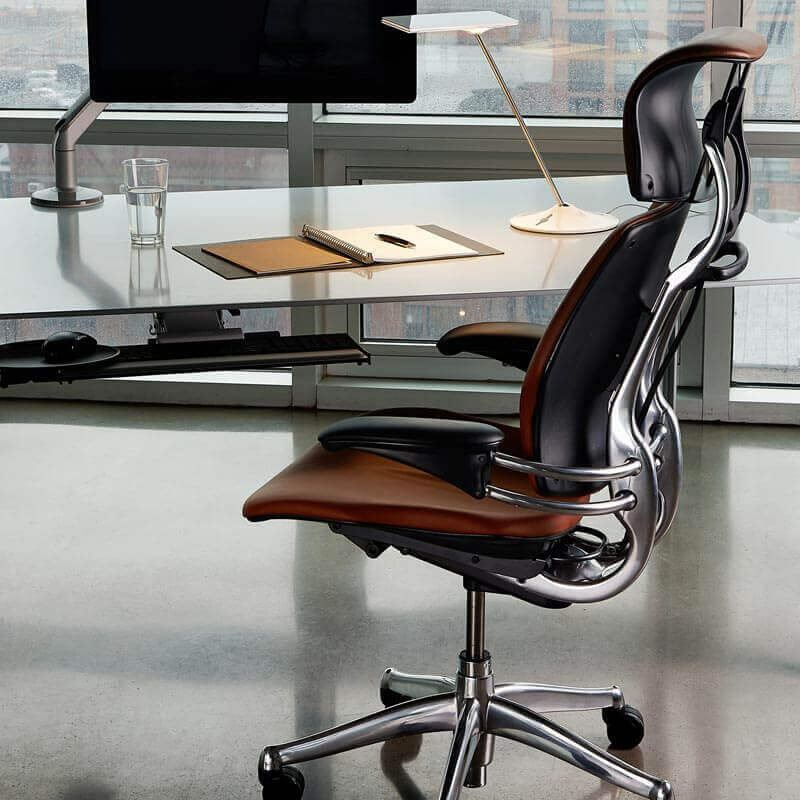 As you can see in the Aeron Task chair, it is an embodiment of comfort, ergonomics and more features. This chair has an elastomeric backrest. It is able to “deploy” the amount of tension that you require when you lean back, depending on your weight. Nothing beats a chair that has decades’ worth of research on it. To show just how confident Herman Miller is in their chairs, you will get a limited warranty of 12 years. Thus, you can be sure that should any parts break within that time, they will be replaced. Breathability, adjustable seat depth, adjustable armrest depth and other features make this a very comfortable office chair. Another thing that users love on this chair is that whenever you turn, lean forwards or move in any way, the chair moves with you. This is another of the marvelous chairs that you can get under the Herman Miller brand name. It looks incredibly stylish, immediately transforming the décor of every space where you set it. The woven seat is very breathable and comfortable. Although the design of this chair looks so simplistic, it is built to last decades. Just take good care of it. 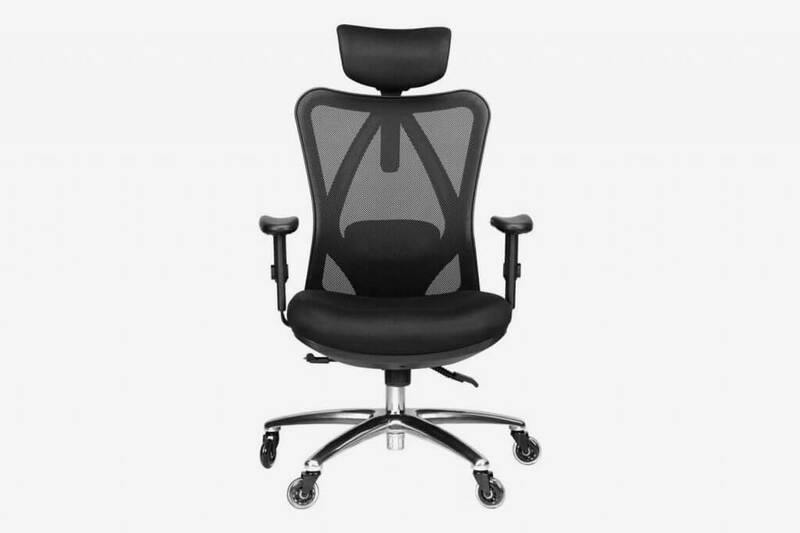 Some of the standard features that Herman Miller office chairs are known for are also included in this chair. These include tiltable back, adjustable armrests, carpet-able casters and easy to maintain, breathable backrest. It should be easy to move around in the office because it is light in weight. The chair is also covered by the 12-year warranty. Whether you are tall or short, weighty or slim, this chair is going to seat you so comfortably. If you have been contending with back pain, this chair will help by giving your back a respite. 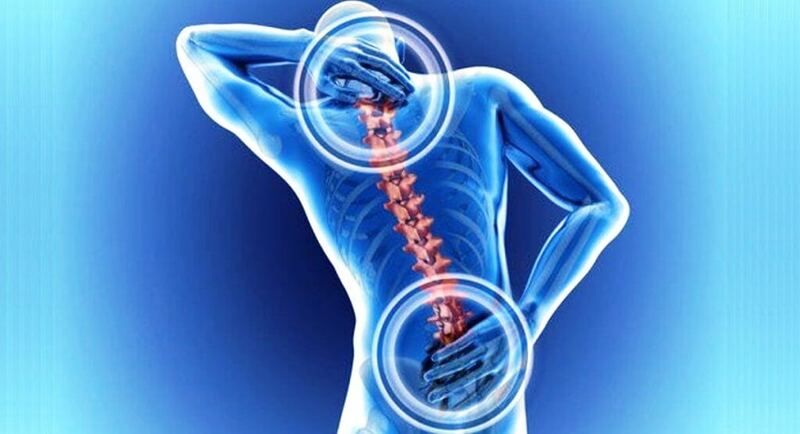 Maybe you would like to avoid the occurrence of chronic back pain in future. Just try this office chair. Please note: the Herman Miller chairs may have different prices for the same models depending on the extras that have been added. 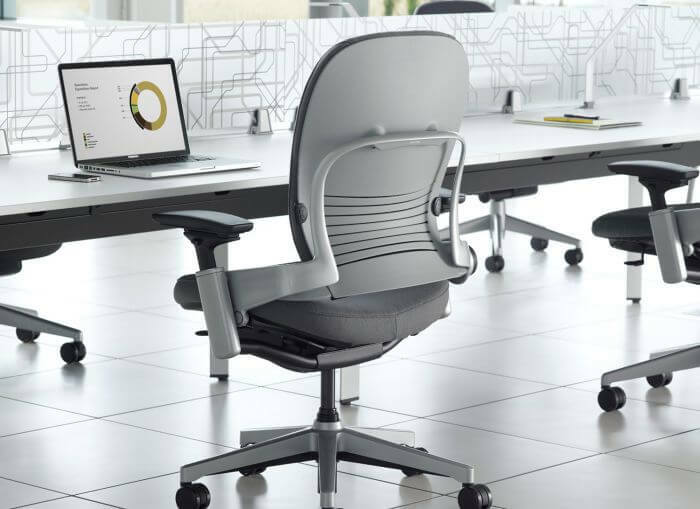 Steelcase is most renowned for their LiveBack technology, which they incorporate in all of their office chairs. This means that the backrest is contoured in a special way such that when you move your back, it moves with you. Adjusting this chair is ever so easy. It is a very intuitive chair and therefore a touch of a lever, a knob or a button here and there will get you the posture that you desire. You can order the chair in different color combinations. The gold and black one is popular, but so are others. You may also want to consider one with a black base, polished aluminum base or platinum base. The prices differ but they are manageable. The ergonomic support that you will get in this chair is out of this world. Lumbar support is assured. If you are dealing with back pain right now or you would like to prevent the occurrence of the same in future, use this chair. Like all the Steelcase office chairs, even this one is covered by their long warranty. With a height adjustability range of between 16 and 21 inches, this office chair gives good value for your money. This chair is shipped when fully assembled in a big package. You just need to unpack and start using it straight away. This chair has a headrest, licorice fabric for upholstery, a breathable backrest and a very comfortable seat. You will look forward to using this chair. This chair is designed and constructed to be used by all sorts of people, short as well as tall people. It has height adjustments of 14 to 18 inches for short people or for low height, and 17 to 25 inches for tall people. Such kind of varied adjustment may not be available in many other office chairs. You can adjust the headrest, move it forward and backward. While it is not removable, this small disadvantage is lost in the sea of many benefits that you get with the chair. The lumbar support is adjustable, sort of a matter of moving it up or down to where you need it most. There is not even a noticeable bulge and you may not notice it is there until you sit down. This chair is strongly built and it can last a long time. All of the controls are located at the right hand side of the chair. They are easy to access and very responsive. This is not called the best ergonomic chair for nothing. It truly is a good office chair. It is a high-end ergonomic office chair, but you know it is not extravagant. You will get the right value for every dime that you spend on it. 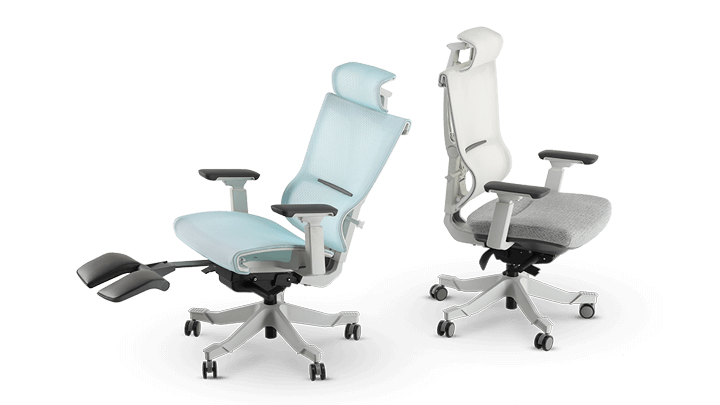 Freedom ergonomic office chair comes with more than 10 color options to choose from, wide adjustability, nice and firm cushions. Then there is the automated headrest and many other features. The name Freedom comes from the fact that this chair “self-adjusts” meaning that you do not have to spend time fiddling with controls and levers. Just sit and Freedom does the adjusting job for you. 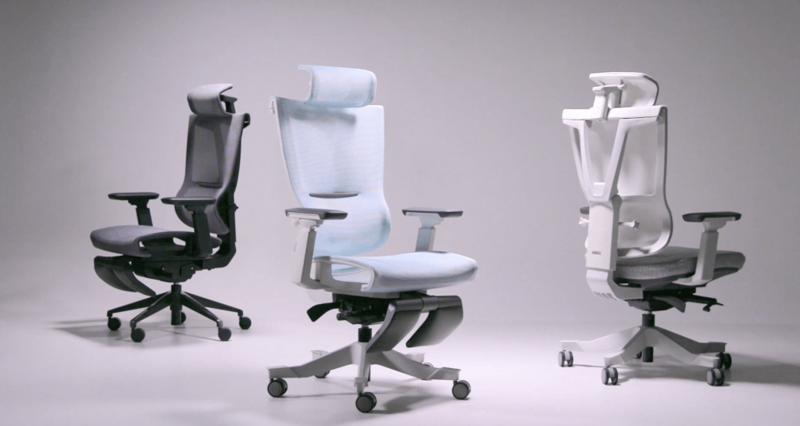 Humanscale clearly outdid themselves with the Freedom chair. Its design was unprecedented. Even with automated ergonomic features, this chair is still able to take care of all the ergonomic needs of your body. The reclining function of this chair is synchronized. When you recline, even the seat adjusts itself and so does the headrest. That way, you will stay well aligned with your desk and computer all the time. The back cushion has been contoured to conform with the pressure points in your body. Whenever you are seated on the chair, your back will be well supported all the time. The backrest is also responsive. It deploys just the right amount of pressure depending on your weight. Your spine will be well supported all the time. This is an expensive chair but you get the full value for the money that you spend on it. It is covered by the limited warranty of 15 years. With more office chairs than you can see here, there is an office chair for anyone, irrespective of their needs and budget. However, remember what you pay for is what you get. Therefore, to get the best ergonomic chair, perhaps you would need to sacrifice a little more money, for more features.